Heading Just delicious, prompt relief. Directions Adults: 2-4 tablets. Children: Consult a doctor for appropriate dosage. 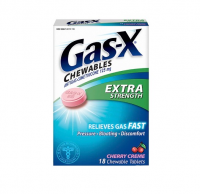 Chew tablets completely. Dosage may be repeated after 15 minutes, not to exceed 6 doses in a 24-hour period unless advised by a doctor. Read all package directions and warnings before use and use only as directed. Nauzene Chewables are intended for use by normally healthy persons only. Persons under 18 years of age should use only as directed by a doctor. 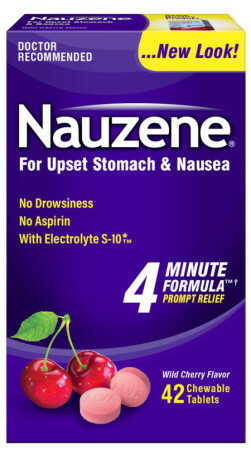 Uses For relief of nausea associated with upset stomach due to overindulgence in food or drink. No aspirin. No salicylates. Warnings Do not use if you have Hereditary Fructose Intolerance (HFI). This product contains fructose. Ask a doctor before use if you: have diabetes because this product contains sugar; are on a sodium-restricted diet; have phenylketonuria because each chewable tablet contains 4.5 mg phenylalanine. Ask a doctor or pharmacist before use if you are taking any other medications. Antacids may interact with certain prescription drugs. 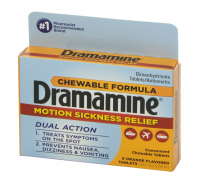 When using this product, do not take more than 6 doses in a 24-hour period. Stop use and ask a doctor if nausea lasts more than two weeks or recurs frequently. If pregnant or breast-feeding, ask a health professional before use. Keep out of reach of children. In case of overdose, get medical help or contact a Poison Control Center right away.